November 10: News – Thanks to American Diabetes Month®, diabetes has been in the headlines this week. 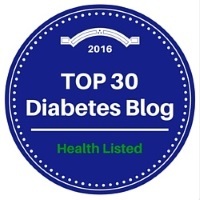 Did you see any diabetes articles that were interesting? Inspiring? Frustrating? While there’s no controlling what the media says, what topics would you cover if you were a reporter? Recently I came across an article called: Hacking Insulin Pumps And Other Medical Devices From Black Hat. The title certainly striked a nerve… and I guess I never thought about it, but with today’s technology, it is possible to “hack” an insulin pump! “There are patents out for insulin pumps that can hook up to wifi and be controlled via a web browser, a scary thought when one considers how many exploits exist and are being developed daily to compromise web interfaces” says Eric Basu of Forbes Magazine. Firstly, I understand, why would someone want to hack a pump? And I am not here to explain why, because I am wondering the same thing. I just want to give some awareness to the issue — especially those who use the Medtronic Insulin Pump. It seems to be the most “hackable” pump from my understanding. Watch this video and you can see a hacker actually hacking into the minimed pump and giving the entire amount of insulin to the dumby patient. Personally, I feel the chances of it ever happening to me are VERY slim to none. You never see my insulin pump, unlike the ones with tubes. The only possible way any hacker would know I am a type 1 diabetic and use an insulin pump is if he knew how the whole OmniPod System works. Once you have opened up your eyes to the issue, you will understand why I am so shocked. Please leave your comments below on what you’d do if you knew your pump could get hacked into.